How Does Marvel Feel About Joss Whedon Directing DC's Batgirl? There are a great many people who have contributed to the success of the Marvel Cinematic Universe so far, but Joss Whedon has to be very close to the top of the list. As the man who directed The Avengers, he had the responsibility of uniting Earth's mightiest heroes for the first time ever on the big screen. And now he's making a Batgirl movie for Warner Bros. and DC Films. So, how does Marvel Studios feel about that? Turns out, there's absolutely no hard feelings. Marvel Studios President Kevin Feige recently spoke with The Hollywood Reporter during a visit to the Marvel offices in California. During the course of the chat, Kevin Feige was asked how he felt about Joss Whedon jumping ship over to the DC Extended Universe. Here is what he had to say about it. "He called a couple months ago, which he didn't have to do and was super cool of him and super nice of him. And we couldn't be more supportive. We want to see a Joss Whedon Batgirl film be awesome." Not only did Joss Whedon direct The Avengers and Avengers: Age of Ultron, both of which were incredibly successful at the box office grossing nearly $3 billion combined, but he stayed on as a creative advisor and producer on other Marvel projects. He also is a co-creator of Agents of S.H.I.E.L.D. and wrote the pilot episode, which is no small matter. So he has been a very valuable asset to Marvel Studios behind-the-scenes for a long time. That is probably why he felt the need to give Kevin Feige and Co. a heads-up about his new gig writing, directing and producing the Batgirl movie. It is good to know that there are no hard feelings between them. 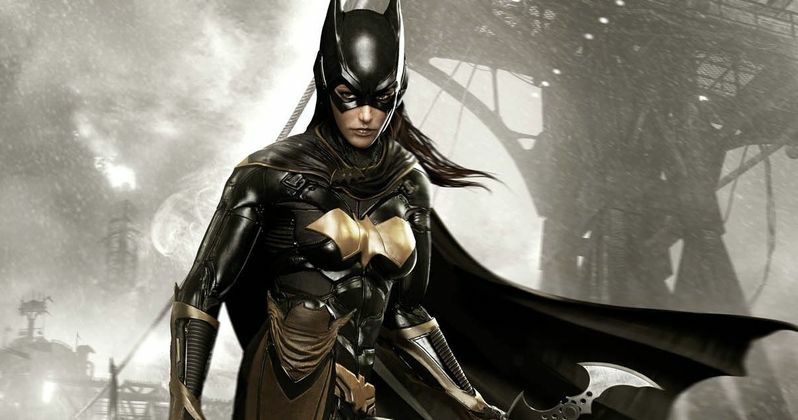 The Batgirl movie announcement was made a few weeks ago and came seemingly out of nowhere, but was met with quite a bit of excitement. Joss Whedon hasn't directed a movie since Avengers: Age of Ultron, so it is a very big deal that his next movie will be based in the DC Comics universe and will be bringing Barbara Gordon to the big screen. But he does also have plans for a WWII zombie movie that he is writing and plans to make. At the moment, there is no casting news or a release date for the Batgirl movie, but it is definitely coming and will almost certainly be Whedon's next directorial effort. Marvel Studios has plenty on the horizon, with Avengers: Infinity War looming and with several big movies, including Guardians of the Galaxy Vol. 2, set for release this year alone. But moving forward, at least for a while, they will be getting along without the help of Joss Whedon. Though, given his history with rich, female characters on screen, who wouldn't be excited to see a Joss WhedonBatgirl movie? Even Kevin Feige is able to admit that sounds great and is something he wants to see.